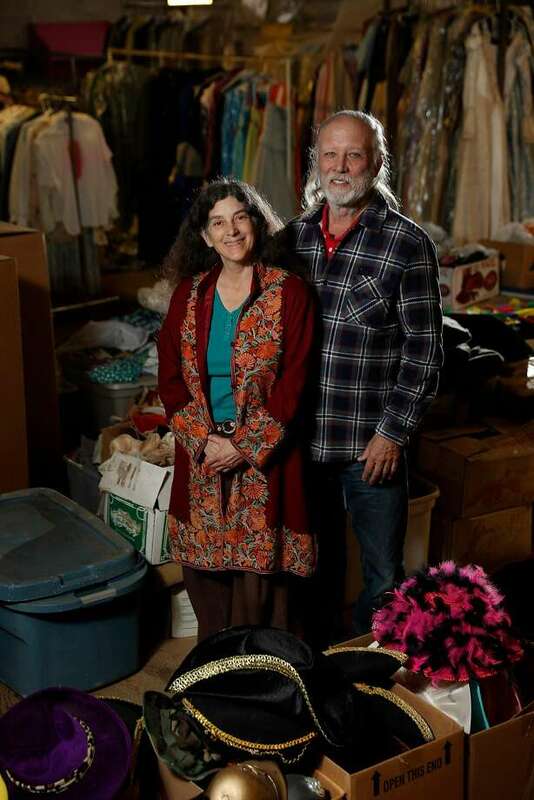 Lesley Currier (left) and her husband, Robert Currier, are surrounded by Marin Shakespeare Company costumes in a storage area at their new, year-round downtown theater space in San Rafael. “Right around here,” says Marin Shakespeare Company’s managing director, Lesley Currier, positioning herself in a very particular spot in her company’s new space in downtown San Rafael: on an open second-floor walkway that overlooks what will be the main stage, down on the first floor. That Marin Shakes’ new venue has a balcony for Juliet already built in is just one of the reasons this former baby store — the local favorite Heller’s for Children, on Fourth Street — is an auspicious site for the growing company. In addition to a stage and seats for audiences of up to 165, the space will house three classrooms, dressing rooms for actors and a lobby with a cafe and a small platform stage. It also has office space and an attic for storing costumes, props and sets. The company bought the space for $2.1 million with the help of an anonymous donor, and now it’s in the middle of a $2.5 million renovation — fixing the plumbing, making the space accessible for the disabled, complying with the fire code (including installing sprinklers), getting rid of giant pillars that are in the middle of where the stage will be, and building more bathrooms. Marin Shakes has been holding classes there since not long after it got the keys in January, but the space won’t be ready for performance for “a while,” Robert says. 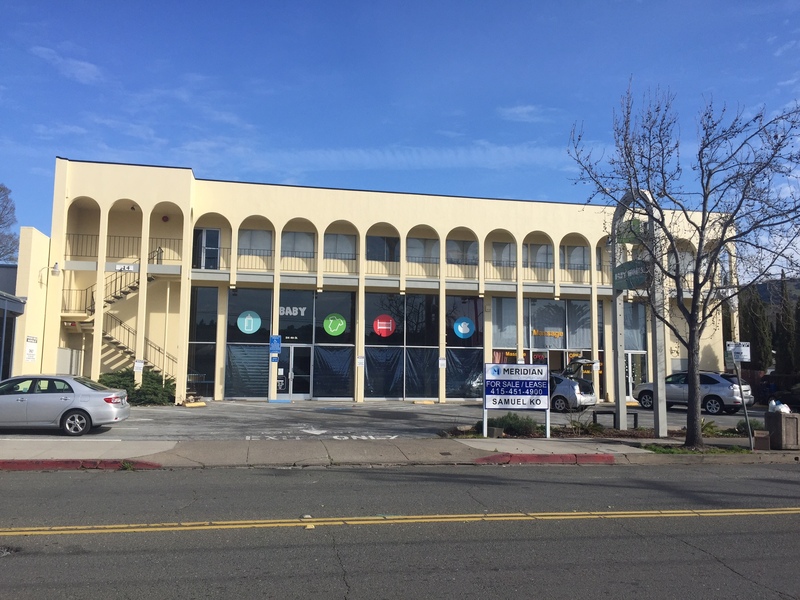 There’s currently no other permanent, professional performance space in downtown San Rafael. 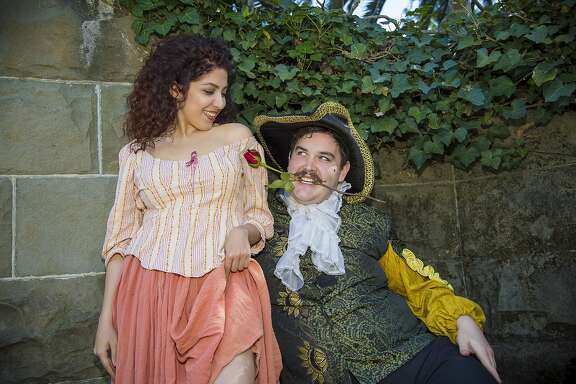 Local troupe AlterTheater performs in various vacant Fourth Street storefronts, and Marin Shakes stages its annual three-show season in Forest Meadows Amphitheatre, on the campus of Dominican University. The Curriers have no plans to move their summer season. “Outdoor summer Shakespeare is really the heart and soul of who we are and what we do,” Lesley says. In fact, the pair are also planning to renovate that amphitheater after the summer 2018 season — running electric cables underground, building a permanent lighting tower, installing a retractable shade cloth over audience seating, upgrading the acoustics and improving accommodations for the disabled. Permanent facilities will mean that the company won’t have to spend five weeks each year reopening the amphitheater, which means the Curriers can focus more on being artists. Still the Curriers laugh at their own ambition in embarking on two big construction projects at once. “We meet with one architect here, then meet with plumbers there, then we’re back here — we’re back and forth a lot,” Robert says. She envisions new play development, festivals of readings and small-scale performances. “The amphitheater’s in the middle of 27 acres,” she says. “It doesn’t have any street signage,” which makes it difficult not only to advertise but also to communicate all that Marin Shakes does. 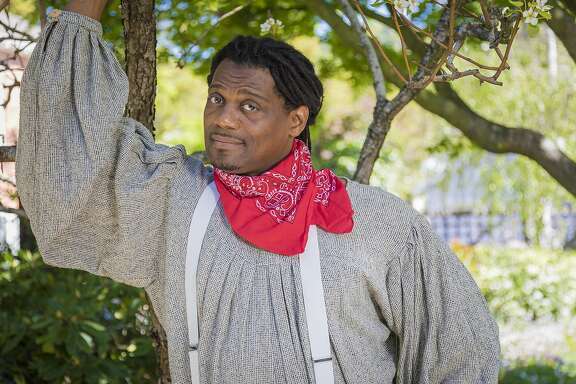 In addition to its main stage season, the company teaches Shakespeare to children and adults, as well as bringing its Shakespeare for Social Justice program to eight prisons. For the Curriers, the new space will also mean they can move their work, their staff of five and decades of theater detritus out of their home, after years of storing costumes under their kids’ beds or asking their employees to step over dirty laundry. “People don’t look upon it as professional,” Robert adds. “We get called a ‘mom-and-pop’ a lot, slightly pejoratively.” If that was more accurate in the company’s early days, it’s a label the company has earned the right to shed, now that its annual budget is $1.3 million and they employ 80 people a year. “We’re not quite as mom-and-pop as we used to be,” Lesley says.